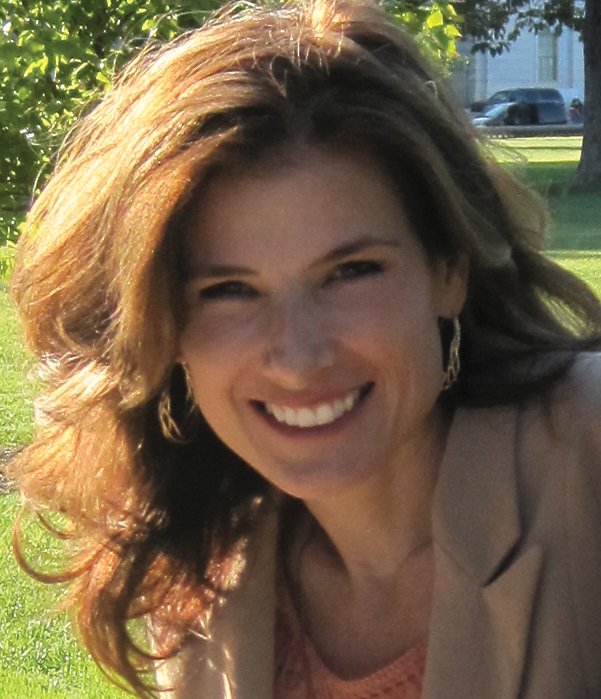 My Rheumatoid Arthritis newsletter is out! I hope you got your copy of my newsletter that went out last night. 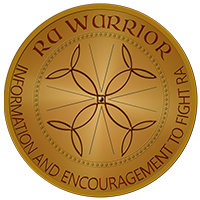 If you didn’t, you can sign up on the Rheumatoid Arthritis Warrior Newsletter page and you’ll be sent one. I always thought armadillos were cute. People from Texas would tell us stories about the silly animals. Isn’t it ridiculous how they curl up into a little ball when they are frightened? That’s what I thought! Remember that story about the lawn and gardens that I planted after I got a front loader full of dirt? For months, I worked to improve that soil, making it earthworm worthy. At one point I tried to buy worms to improve the soil and I was told, “Work hard to make your soil excellent, and worms will materialize.” I did. And they did. But someone else likes excellent soil – and the wonderful creatures that crawl through it. Armadillos actually stick their faces into the richest soil they can find. They uproot whatever is in the way: azaleas, lawns, or hedges – even swimming pools. You might guess that I came to despise armadillos. By night, they’d come and dig up the work that I’d done that day. And by day, I’d buy more composted manure and azalea plants. Eventually, I decided to protect my investment. We set out live traps. We began camping out on the back porch so we could chase the armadillos away with garden tools. There are some hilarious stories from that year. I have time to tell you this at least this: no matter what I did see, I never saw an armadillo curl up into a ball. They would rather charge at me and snort like pigs! 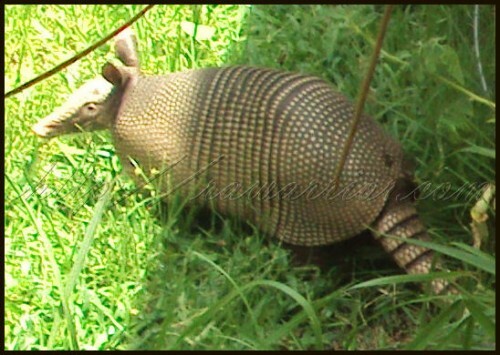 What can armadillos show us about a Rheumatoid Arthritis newsletter? I’ve spent most of my time over the last several months working on a couple of projects like the Rheumatoid Arthritis newsletter. (The name is a secret until it’s published.) It’s been a lot like that armadillo year. Everything I do has to be redone. Everything that should take an hour takes 20 hours. The RA is literally worse every day. “Press on” has been my motto for 27 years. It’s certainly being tested. But if a little pest like the armadillo can come back every night for a year and resist its urge to curl up in a ball and quit, so can I. 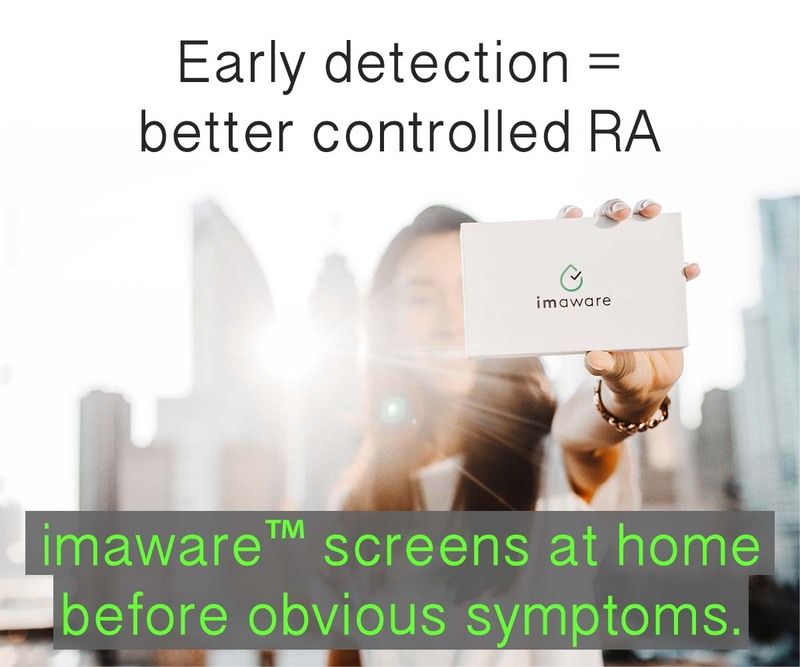 A new armadillo and finally – my first Rheumatoid Arthritis newsletter! I live in a rurual area now. And I have RA. So there’s no manucured lawns or beds. 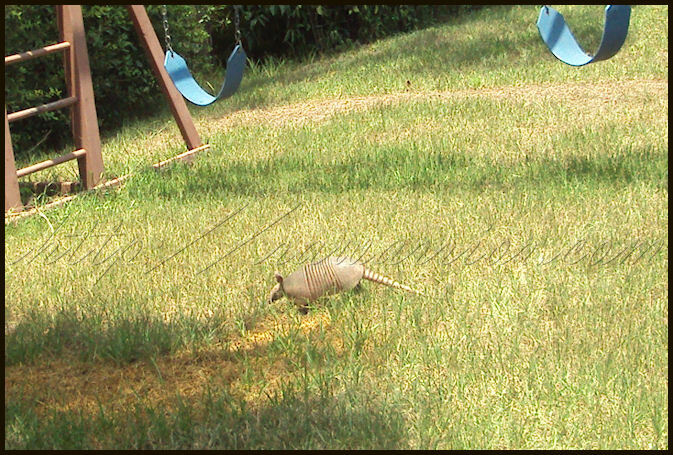 Yesterday, when I was out keeping some doctors in business, Roo looked out the window and yelled to Katie Beth, “Look Kitty, an animal!” As you can see from the pictures they got, the baby armadillo did dart around the yard avoiding them, but no curling up in fear. Me neither. Ah lovely story about the Armadillos. Good analogy too. We had moles in our garden in the Spring – just on our newly seeded lawn. Luckily my OH is the gardener not me! Since, like Kelly, I’m in Florida I’ll mention that armadillos only arrived here recently from the West although once there were prehistoric giant ones here. But I wanted to add that armadillos are devastating to the sea turtle nests along the Gulf Coast (I don’t know about the Atlantic side). An unusual fact about our 9-banded species is that they are always born as identical quadruplets. Yes, Jay. The migrated here from Texas & from what I hear they are gradually moving north! Once I read they will be in DC area by 2020? Ack? yes, we read about the quadruplet thing too – I think we tried to become experts in their behavior so we could find a way to become un-haunted! The armadillos eat the grubs in the lawns. You should have seen all the damage they did to at least 4 yards including mine! Yes, that’s right. And they actually injest some of the soil too. Which is a precious commodity in sandy Florida. 😛 Did you have a long term problem or was it a hit and run for you? Congratulations on getting your first newsletter out. I know how hard it is, on a smaller scale than rawarrior.com, to link up, test and make everything compatible with all different types of operating systems and browsers. Good job Kelly.